recently two years, with LED market and technology developing, COB become the important strategy field, international famous companies attempt to seize most market by high quality high photosynthetic efficiency. According to relevant data, COB packaging products in our country share more than 7%, widely used in street light, straight down type backlight, spot light, and other high brightness of high power LED application. The demand will be increased from 18.5 billion in 2014 to27billion in 2017, compound annual growth rate of 13%. CASCeramic was founded by FJIRSM and Fujian Enterprises and Entrepreneurs Confederation. As the only platform of LED technology transfer and industrialization of FJIRSM, relying on the new COB technology of FJIRSM, CAS-Ceramic successfully developed 1000W COB-- K-COB. Material innovation is to improved LED light source by transparent phosphor ceramic, breakthrough from material, with special technology and structure, created 1000W LED COB LED light source. This is the revolution breakthrough in our LED industry technology. From Ceramic materials sintering equipment and highly confidential formula to the unique packaging technology, CAS-Ceramic got all technology, own fully independent intellectual property rights and applied the international patent. CAS-C’s K-COB can realize industry, due to the basic research and breakthrough in material. By the technology base of laser ceramic and process improvement, K-COB owns excellent performance and stable LED luminous efficiency and luminous performance, and realized transparent phosphor ceramic large-scale production. Besides, phosphor ceramic has more excellent performance of thermal conductivity, luminescence properties, high temperature resistance, good corrosion resistance, thermal shock, etc. “In the field of lighting, it requires higher power, smaller area, and heat-dissipation demand lower wattage, bigger area. It is difficult to deal with the both thing. However, our light source can solute the conflictive, because of special material and packaging, the smaller area and better heat dissipation K-COB can be produced. “ Ye said. It is reported high power LED lighting products will significantly reduce the power consumption, energy-saving about 70%, and less carbon emissions. There will be a big potential market in the future, economy and social’s benefit is remarkable. According to the latest data, the output of HID lamp is about 90 million pieces in 2014, total power is 10.8 million KW. If all the lamps were replaced by phosphor ceramic packaging LED light. It will save 7.56 million KWh, and the three gorges power station’s power capacity is 224 billion. Due to the breakthrough in material and structure, LED light source can be made great progress. From 100W to 1000W, one year ago, even a few of days ago, it can’t believe the unimaginable technological breakthrough, but now, FJIRSM and CAS-Ceramic do it. The most distinguishing feature of transparent phosphor ceramic material is to achieve high power density packaging. How to realize? It also must develop unique packaging thermal conductivity structure. Traditional phosphor powder material LED packaging technology only produce 200W led light source, and CAS-Ceramic has become the first company of manufacturing 1000 w light source module in the world, promote high power LED into the lighting market, realize the possibility of completely replacing the traditional lighting source. At present, CASCeramic’s 600W light can take the place of 2000W HID lamp. In showroom, Ye shows us K-COB light source, 1000W is a little bigger than coin ￥1.0. "This is a Chinese revolutionary breakthrough in the LED industry." 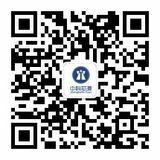 Ye mentioned, “ from ceramic materials sintering equipment, highly confidential formula, unique to the encapsulation technology, CAS-Ceramic has achieved all technology, and own independent intellectual property rights, and applied the global patent in June. It is introduced that K - COB technology have four advantages: the technology support from Chinese academy of sciences, the core material of transparent phosphor ceramics, LED white light patent and low thermal resistance package structure patent, core unit to realize integration of field source module. At present, Chinese LED industry lack of effective patent protection, the export market face to patent barriers, seriously affect the industry competitiveness. 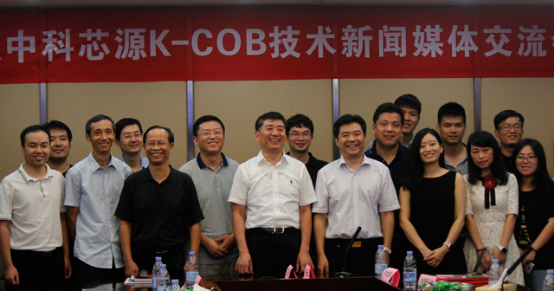 If K-COB module took place of traditional LED, our LED industry will change the present situation. "After successfully developed more than 1000W and the light source module, we achieved LED to replace the HID lamps. Next step, CAS-Ceramic will enhance the cooperation with LED manufacturers and light fixture manufacturer, well versed in industry chain upstream and downstream, improve enterprises by new technology, strengthen our domestic LED industry." Ye mentioned at last.